Watershed Landcare has been running Green Day for local school children for 10 years! In this time over five and half thousand children have visited the Mudgee Showground to learn about environmental themes such as biodiversity, energy, waste and water. 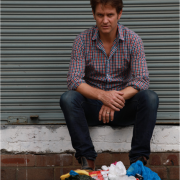 On September 16, local schools will again bring their Year 5 and 6 students to experience a day centred around the theme Go WoW or Go Make a Difference War on Waste. “Our theme is all about taking action. Workshops will provide students with key take-home messages.” said Vivien Howard, Chair of Watershed Landcare. 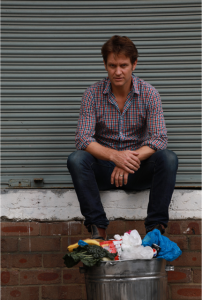 “We are excited to have secured Craig Reucassel as our keynote speaker this year, his second series of War on Waste currently airing on ABC TV is a timely backdrop to our event.” she continued. ABC’s War on Waster presenter, Craig Reucassel, will be the keynote speaker at this year’s Green Day. Green Day takes place on Thursday, 13 September 2018 at Mudgee Showground. This event is supported by Watershed Landcare, Mid-Western Regional Council, Central Tablelands Local Land Services, Moolarben Coal and Wilpinjong Coal and is a part of the NSW Government’s Local Landcare Coordinators Initiative, supported through the partnership of Local Land Services and Landcare NSW. To find out more, contact Beth Greenfield on 0438 090 525 or email beth.greenfield@watershedlandcare.com.au.